What does arc length have to do with quality? 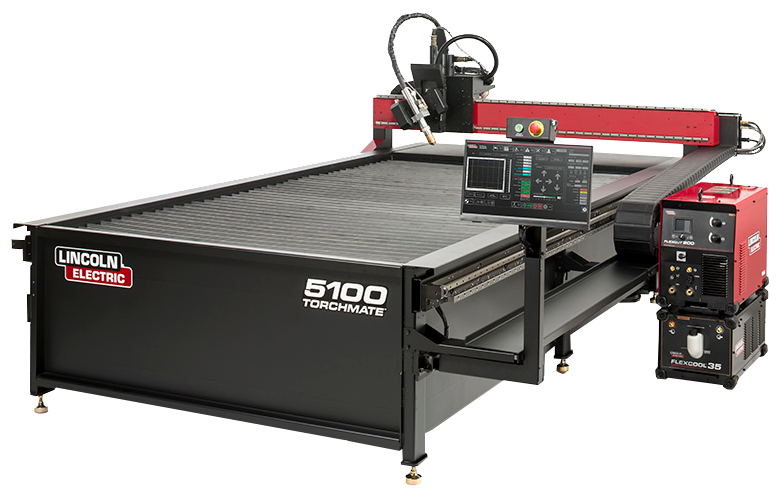 Whether you have come up the metal cutting ranks using a saw, cutoff wheel, snips, oxy-fuel torch, and hand-held plasma torch, or you have started right out with CNC plasma, you’ll have come to understand the value to you and your customers of cutting a part with high-quality edges on the outside of parts and in the cutouts. The straighter and smoother the cut edge, the less finish work you’ll need to add to your part. 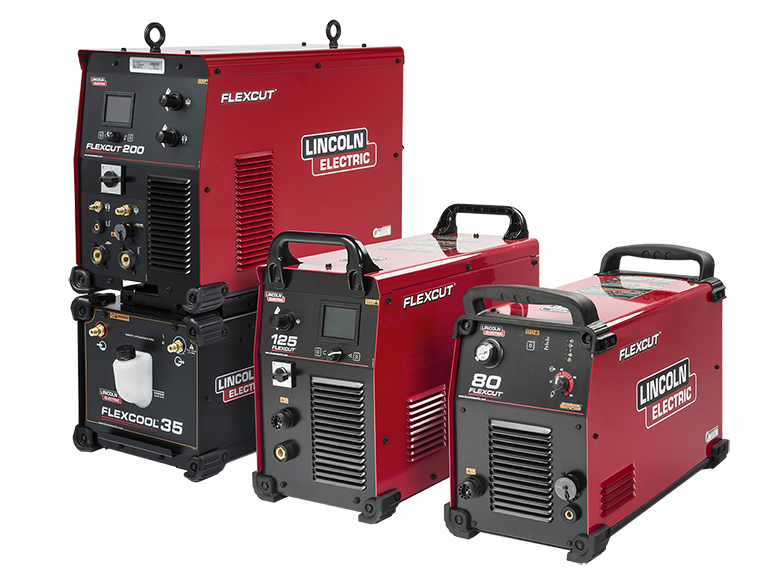 In plasma cutting, the high-temperature, pressurized, electrically- charged gas that we call plasma is delivered to the part we are cutting by forcing the arc out through the nozzle of a torch. When this happens, the release of pressure causes the plasma to naturally expand, creating an arc that is narrowest near the nozzle and wider further as it moves away. The plasma arc, consisting of a “swarm“ of positively-charged gas particles, seeks electrons to neutralize the charges. When the energy that removes the electrons heats and melts the metal, then the gas pressure can blow the molten metal away. If the plasma doesn’t get its electrons from the workpiece, it will eventually get them from the surrounding environment (mostly the air), so the plasma gradually loses its temperature, its pressure, and its electrical charge, getting narrower in shape as it does. The arc that begins narrow at the top, gets wider in the middle, and eventually gets narrow again at the bottom. It is also hotter, more forceful, and more electrically charged at the top. That would seem to indicate that a short arc length would give the best quality cut, and it some ways, that’s true, but a short arc length also creates a significant bevel in the cut, and that is usually bad. The problem is reversed when the arc is too long. If the top of the cut is being done with the widest part of the arc, then the bottom of the cut will get a narrower arc, and the bevel angle will be reversed. Similar concerns for quality occur when using chemically reactive gases (such as air, containing 21% oxygen) as the gas that the plasma is created from. High temperature oxygen molecules react with most metals to create metal oxides and release more heat. The character of the mixture of molten metal and metal oxides produced during cutting (the dross) is different for the higher temperatures at the top of the plasma arc compared to the cooler temperatures found at the bottom. A dross with a good proportion of oxides is usually much easier to remove from the workpiece than one that is mostly re-solidified metal. As it turns out, when cut at the correct speed, the area of the arc that produces the least bevel also reduces the amount of post-cut dross cleanup that you must do. Handling “bumps in the road"
If the metal was always perfectly flat, controlling the quality of a cut by controlling the arc length would be greatly simplified, but most of the smaller parts (and many of the larger ones, too) can be made from material such as hot-rolled steel that lacks perfect flatness. Various imperfections such as coil set, center buckle, twist and wavy edges would either cause the CNC torch to crash into the work (which can not only ruin a part, but can also ruin the torch), incomplete cuts, and low quality, or require a CNC plasma operator to constantly monitor the torch to manually adjust the torch height. Over the years, plasma torch engineering has developed techniques to minimize the expansion of the arc, including using swirl rings to shape and stabilize the arc, and pressurized shielding gas to help enclose and confine it. This has significantly reduced bevel problems and increased performance and quality. It is also recognized that bevel and cut quality are greatly influenced by cutting speed. The best speeds for a given material type and thickness are usually found through experience. So the bevel issue is usually resolved as a compromise of trying to get the widest part of the arc in the center of the material’s thickness and running the torch at the correct speed. Fortunately, an automated solution exists based on a simple physical principle. When the voltage that the plasma power supply imposes between the torch electrode and the workpiece is measured in the power supply, it becomes evident that the measured voltage is lower for short arc lengths and becomes greater with greater arc length. When the arc gets so long that the power supply can no longer produce a high enough voltage, the arc is extinguished. 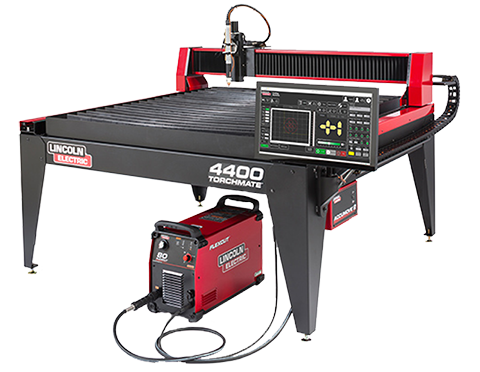 By feeding the measured voltage to a component that compares the actual height against a desired height, the torch can be raised or lowered by a motor control (on the Z-axis) during cutting to maintain a constant arc length. And, so, if your desired height is correctly set, you can expect to get uniformly good quality cuts.